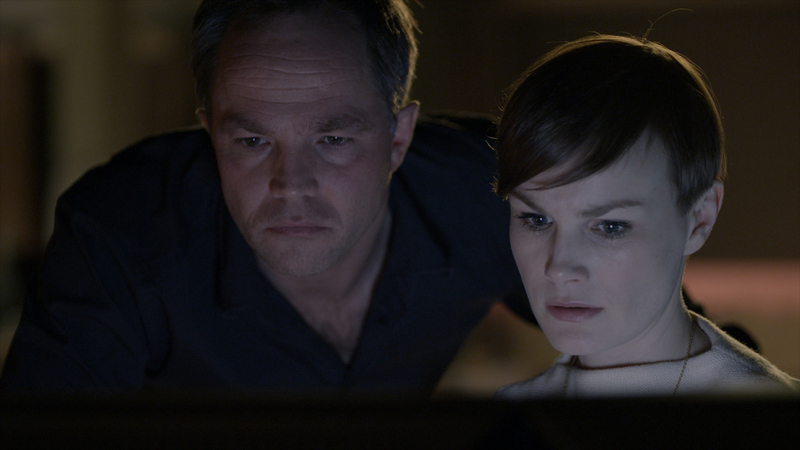 On New Years Day viewers in Norway settled down to watch the première of a brand new conspiracy thriller series possibly unaware that it had taken creators Vegard Stenberg Eriksen and Gjermund Eriksen nine years to bring their idea to the small screen. After several abortive attempts to attract interest in the project the decision to give the go-ahead for Mammon to enter production was made in 2010. Filming occurred between autumn 2011 and the summer of 2012 with a January 2014 transmission slot pencilled in by the Norwegian equivalent of the BBC, NRK. The tenaciousness of the pair of creative siblings who birthed the show’s concept and then nursed it throughout every bumpy stage of the production process was suitably recompensed when the network gave it a prestigious slot at the dawn of a new broadcast season. Long before the series aired a buzz about it had been building within the industry suggesting that here was what generations of creative professionals had been trying to create, a hit which would cross borders and possibly crack into the all-important English speaking market. Several months ahead of the première news broke that format rights had been sold to 20th Century Fox and Chernin Entertainment. Momentum accelerated in the coming months following the announcement of the American remake as broadcasters across the globe expressed an interest in buying this dark and intense suspense-filled programme. By the second week of transmission, sales had been confirmed for Austria, Belgium, Germany, Luxembourg, Netherlands, and Switzerland. 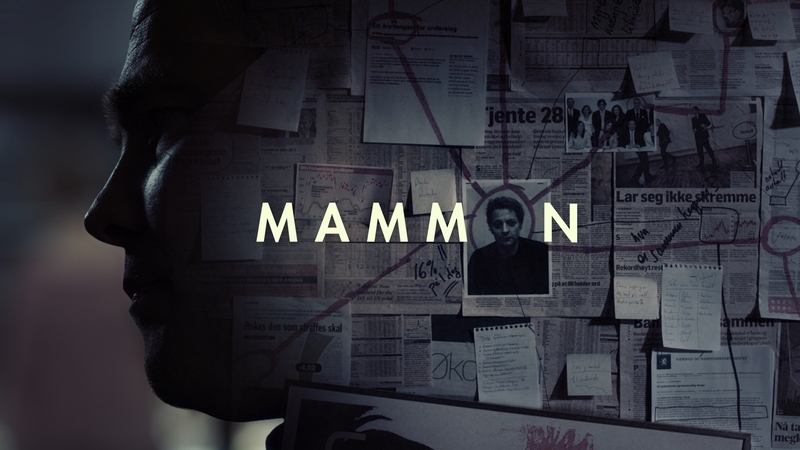 That a UK network would buy Mammon was with hindsight inevitable but in a development which may have surprised some fans, the show found a home not with the traditional place for Scandinavian drama in Britain, BBC Four, but a new berth was offered by Channel 4 who immediately recognised the series’ high quality and wanted to bestow upon it the notable distinction of being the first ever foreign language series to air on its sister network More 4. Published figures show that an average forty-eight percent of the Norwegian viewing population sat down each week to watch Mammon giving the network NRK its highest share of the audience in over a decade. This data was further bolstered with the addition of over a hundred thousand people who viewed it using catch up services, a not inconsiderable sum in the context of such a relatively sparsely populated country. An undeniable success in its homeland, Mammon arrived in the UK as fans were still mourning for the loss of Borgen and The Killing whilst at the same time feeling frustrated at having to wait for the third season on The Bridge. In short, the British audience has never before been more ravenous for fresh Nordic Noir and with Mammon fans have got the show they deserved. Save for the American co-production Lilyhammer, Norway’s contribution to the blossoming of Norse TV was until recently scandalously under-represented leaving fans to construct an incomplete picture of the movement’s evolution. Barry Forshaw’s Pocket Essentials: Nordic Noir and Eva Novrup Redvall’s recently published Writing and Producing Television Drama in Denmark: From the Kingdom to The Killing validates claims that whilst our attentions were focused elsewhere Scandinavians were tearing up the rulebook and finding new ways to craft well written popular drama which would revolutionize the industry. Trailblazing at a frantic speed, their international competitors have been caught unawares and are left behind scrabbling around in the dust looking for series to remake or in the case of Broadchurch applying lessons learned from studiously analysing The Killing and The Bridge. 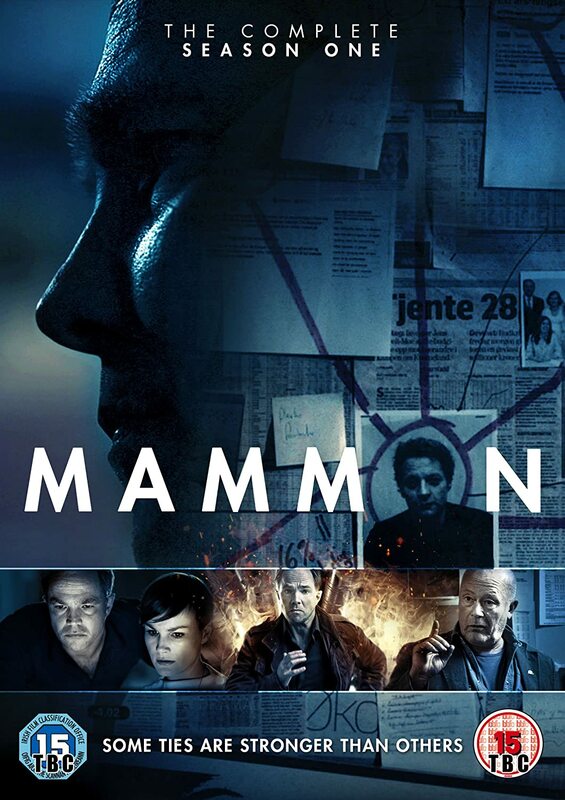 The much-anticipated DVD release of Mammon affords fans the opportunity to finally recognize that Norway is capable of creating a sophisticated and adventurous bleak thriller that is equal to anything currently being made by its neighbours. Inspired by All the Presidents Men, Three Days of the Condor, and the BBC series State of Play, Mammon is a tale of sibling rivalry told over the course of six days (with the exception of introductory and concluding sequences) which riffs on the turmoil wrought upon Norway by the global banking crisis. 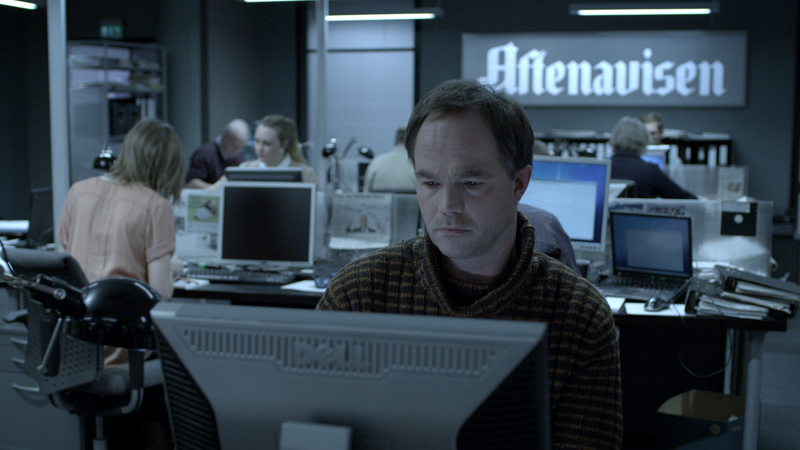 Fearless journalist Peter Verås (Jon Øigarden) works in an evening newspaper. An idealist, he clings to a form of press ethics that has become largely outmoded in an age where the industry faces the ever-present threat of irrelevancy due to social media and charges of moral bankruptcy as a consequence of the practices of a red top paper. Haunted by guilt after writing a story about financial misdeeds that triggers his brother’s suicide Verås sifts through his records trying to discover the identity of the anonymous source who gave him the initial tip-off. The mystery takes an unexpected turn when it is revealed that the informant was his now deceased brother. Aided by a former member of the Financial Crimes division, Vibeke Haglund (Lena Kristin Ellingsen), Peter uncovers a murky conspiracy with tendrils infecting his own paper, political figures, the financial elite, and a business school. Genre aware, Mammon is simultaneously familiar and strikingly original. 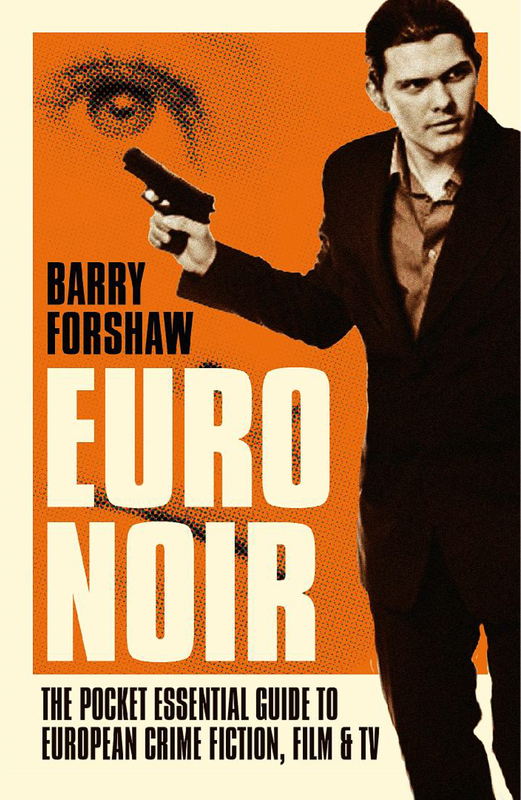 Unashamedly brandishing its influences, the programme meshes high and popular culture. Not many mainstream drama series get to reference, Baudrillard, Kierkegaard, the Old Testament, and 1976 horror film The Omen. Over six episodes the screenplay plays mischievous games with viewers expectations and this spirit was present throughout the production as evidenced in a decision taken by the key creative team of writer, director, and producer not to tell the cast who was playing the villain until the final days of shooting. The absence of key information about characters motivations until very close to the end of principal photography created a palpable tension on set and ensured the actors were on the same voyage of discovery as the audience at home. A Kane and Abel for an age that fetishizes wealth. Mammon casts a critical eye over capitalism and places Norway at the centre of a Greek tragedy in which the entire nation is enslaved by dark forces that operate without checks or balances. Intelligently directed, packed with breathtaking moments, this is a high-quality example of Nordic Noir so tense it will have fans chewing their fingers to the bone. Mammon is available to order from Amazon.